I served 22 years in the Army and retired in 2006. I currently serve as President of the Professional Armed Forces Rodeo Association(PAFRA), Marshall at Warriors And Rodeo (W.A.R. 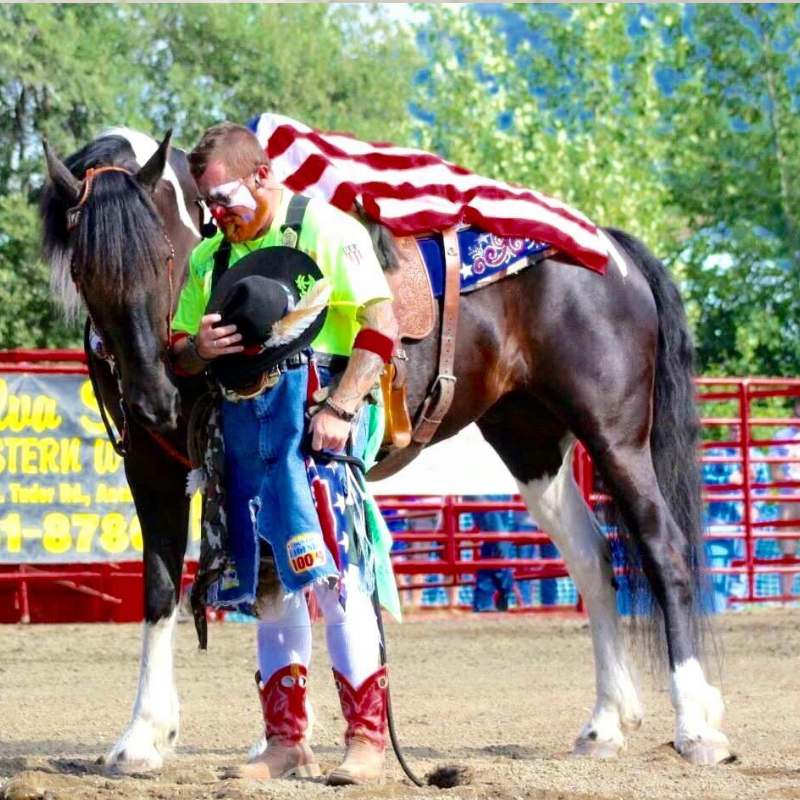 ), co-founder of the Arctic Warriors Rodeo Association, Producer of Red Roan Ranch Rodeo, SGT@Arms of the Soldotna Equestrian Association and member at large of the Ninilchik Rodeo Board. I’m the former National Director for the Alaska High School Rodeo Association & a Former member of Equine Assisted Therapy Alaska. In 2010 I co-founded and still volunteer with Alaska's Healing Hearts, an organization serving more than 2,500 American Warriors and their loved ones year round through recreational rehabilitative outdoor pursuits in Alaska. I now spend my summers with wife Mary and our for year old son Turtle, as a part time rodeo announcer and Ranch Rodeo producer in Alaska and then head outside for the month of July to Barrel Man for a couple of professional rodeos in Colorado. I truly love every opportunity to serve others and to see happy smiling faces.